Trey Songz could be legally blocked from going near a woman who claims he struck her … at least if attorney Lisa Bloom has her way. Bloom is going to court Tuesday morning … asking a judge for a restraining order on behalf of the woman who claims he struck her during NBA All-Star Weekend. TMZ broke the story, the woman says she and Trey were at a Hollywood party when he hit herin the face out of jealousy because she was talking to another man. Bloom says in her legal docs Songz choked her client, then began punching her in the face several times until she fell to the ground and he continued striking her until security pulled him off her. The woman says Songz was hitting with such force it was as if 2 men were fighting. She says she suffered bruises to her face and hand. The woman also says she was trying to get away and called an Uber, but Songz grabbed her cell phone and threw it down a hill. She says she had a second cell phone and he also took that and threw it down a hill. The woman filed a police report and went to the hospital just after the incident. Cops are still investigating. She says she works in the nightclub industry and Songz frequents some of her clubs and she’s scared of him … which is why she’s filing the restraining order. 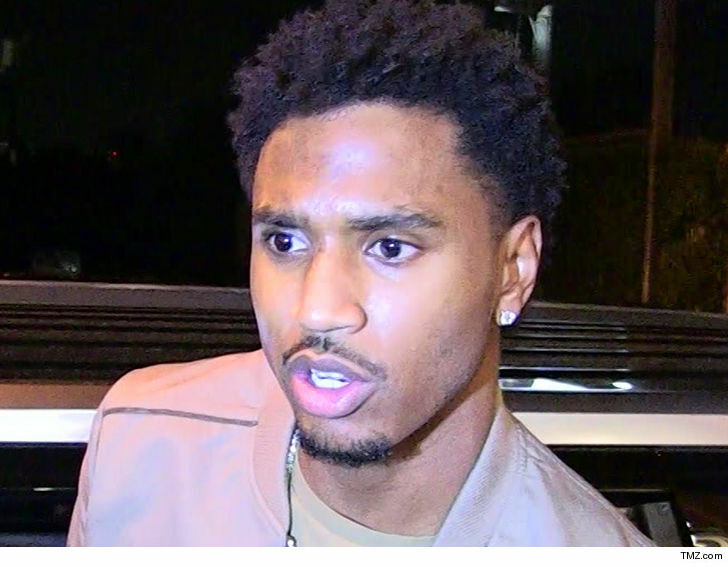 Songz’s lawyer, Shawn Holley, tells TMZ, “Trey has not spoken with Ms. Buera nor has he attempted to speak with her since the night of the gathering.” According to people connected to Songz, the woman has tried reaching out to friends of Trey since the party, but they did not respond to her. Holley says there were witnesses present at the party who dispute the woman’s account. Songz is currently on probation for pleading guilty to 2 misdemeanors after he went crazy throwing anything he could find off stage at his concert in 2016. He also was sued by a fan after he allegedly smacked her phone out of her hand and into her face, breaking her glasses.